I've always been a keeper of memories, be it cinema tickets, popped corks or birthday cards - I just like to keep hold of things to remember special times in my life. And don't get me started on nic naks, postcards and other souvenir tack from all the places I have visited or been on holiday to! I used to put together photo albums religiously every few months, to make sure I had my memories documented somewhere nice and safe. Then Facebook took over, followed more recently by Instagram, and I find myself sharing snaps through social media, with less and less time to make a more permanent record. I still keep my cinema stubs, although they are far rarer now than they once were, along with gig tickets, Ethan's artwork from nursery, shells from Ethan's first visit to the beach and all other kinds of things. I think when you have a baby, if you're a bit of a collector of whatnot like me, you start hoarding all sorts of bits and bobs, trying to treasure every little thing so that in the future, when they are all grown, you can cherish the momentoes of their childhood and recall how small they used to be and all the milestones and memories you have shared. I still love albums and collecting these little trophies and treasures and I have always wanted to do scrap-booking. I made one once, for a friend, but I just don't seem to find the time to let my creative side out these days. 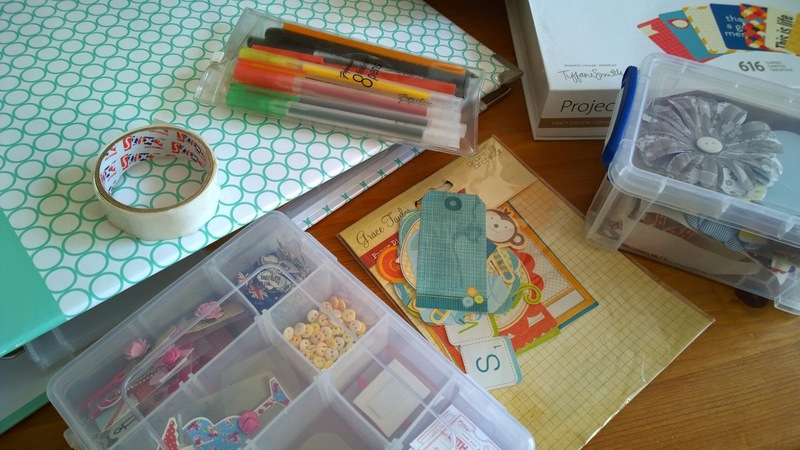 My spare time is spent making the most of Ethan and my hubs and my creativity and wider interests are mostly channelled through this little blog of mine. But I am determined to make some time, before I get even more behind in my memory-logging than I am now. I love the fact that this blog is an ongoing record of our family life and all the stages Ethan goes through, but I do like the idea of something I can hold in my hands, to flick through now and again to bring a smile to my face with the warmth of a special memory. 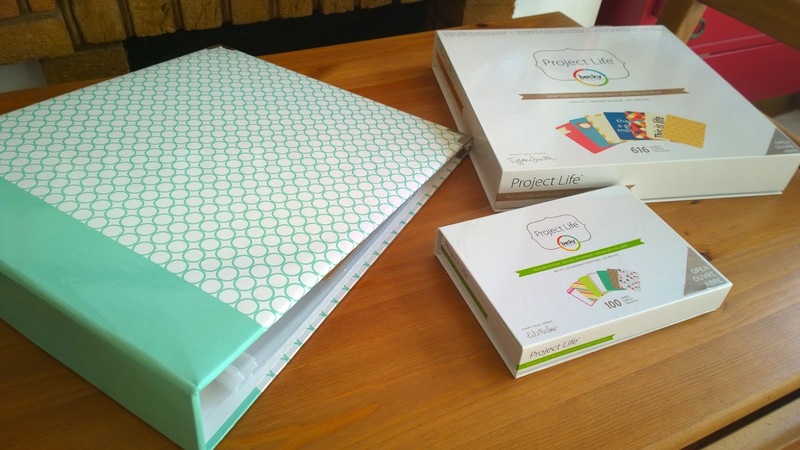 That's why, during my last visit to Hobbycraft, I got rather excited and flustered in a way that I can only get over stationary when I was first introduced to Project Life. Stationary is one of my favourite things and I just can't help myself. 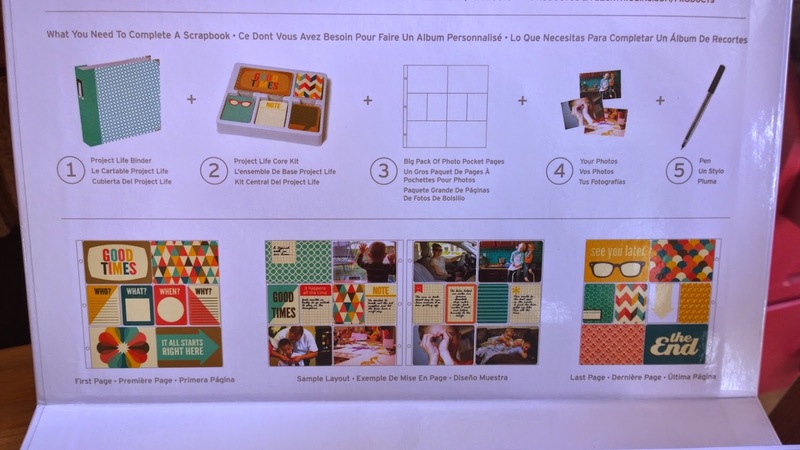 Project Life is a modern take on a scrapbook and makes the whole process really easy, with brilliant design to boot. It's a large binder which can take many, many plastic pages which have pockets for photos, notecards and anything else you can think of. There's different combinations of pockets available and you can buy sets of cards with different themes or colourways to them to start building your own scrapbook. If you want to find out more about the world of Project Life, created by a creative American lady called Becky Higgins, you can visit the main website here for lots of design inspiration (Pinterest is great for that too) and you can buy the different elements you need from Hobbycraft or on Amazon. Here's what I have to get started with. 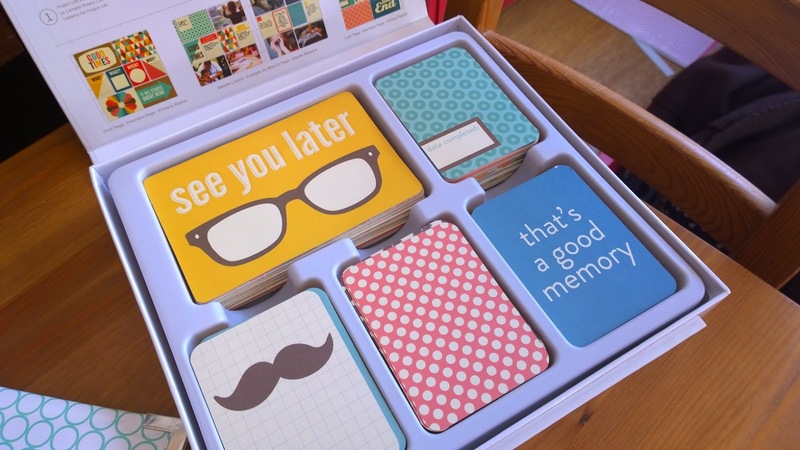 I'm going to create a family scrapbook to make note of all the fun things and special occasions we share as a family. I have the Kraft edition of cards to start things off and will add my own embellishments along the way. Can't wait to get started!